This is a whole series of prototypes and paperwork for the Jawa large action figure. 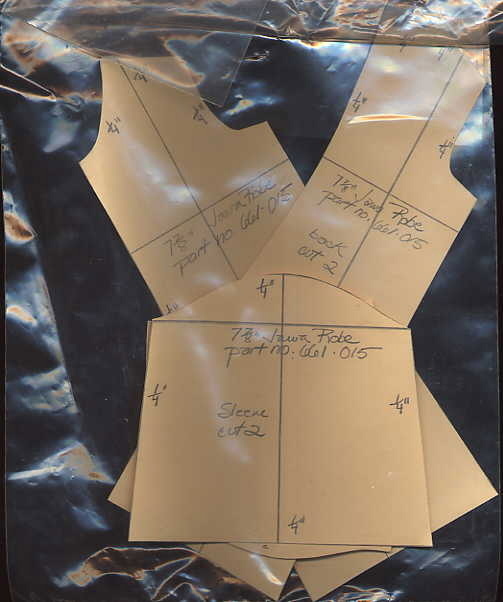 This first item is a set of patterns for constructing the Jawa cloak. Note the exact measurements and contours of the patterns. 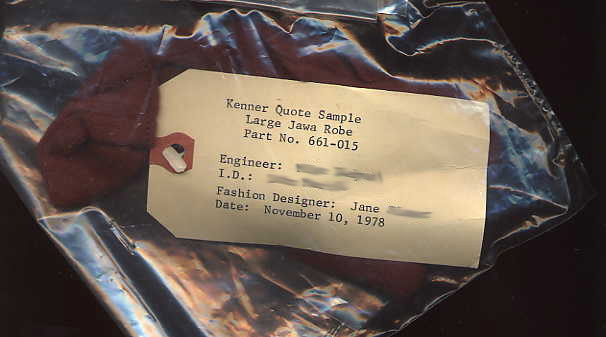 This second piece is an actual Jawa robe quote sample. The tag notes the designer, engineer, part number, etc. 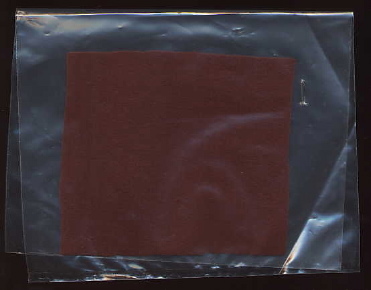 A swatch of fabric used for the Jawa cloak. 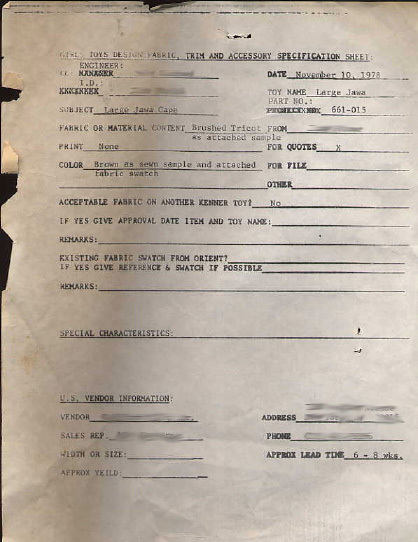 Additional paperwork documents the construction of the Jawa's costume.